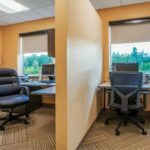 The expanding orthopedic practice at Northern Light A. R. Gould Hospital needed to vacate its existing suite, which bore the legacy of continued organic growth over time. 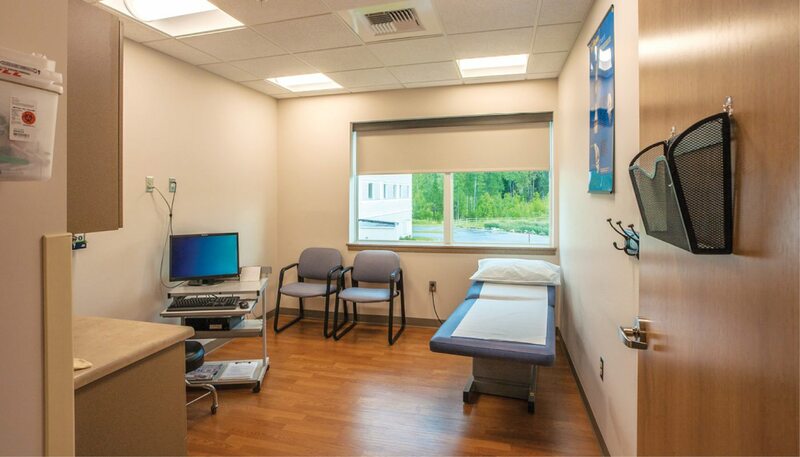 Goals for the new space included consistently sized exam rooms, efficient office spaces, and a waiting room with acoustic separation from staff areas. 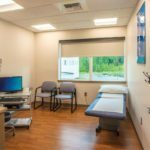 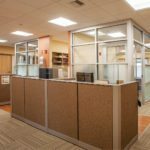 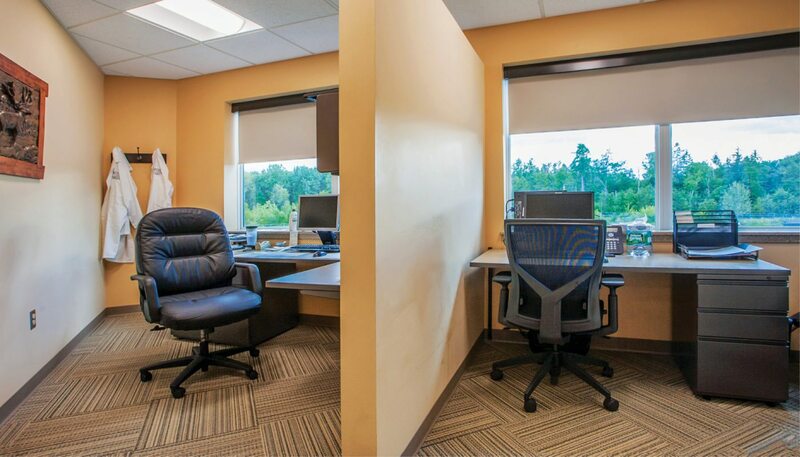 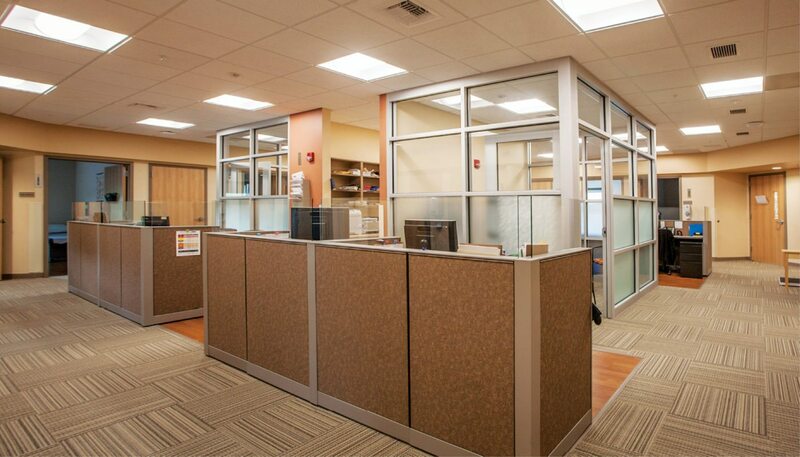 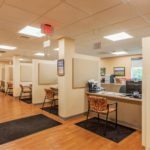 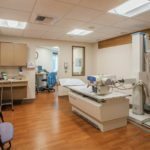 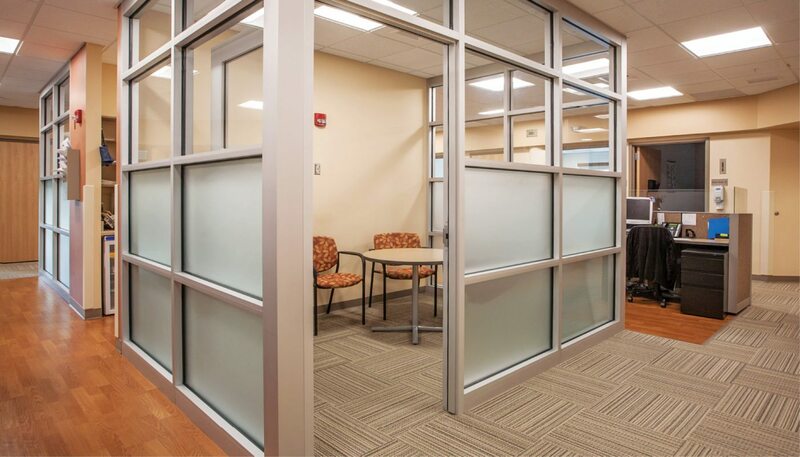 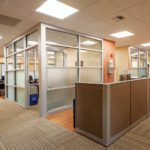 Upon selecting a former conference center attached to the hospital, the client outlined the need for 12 exam rooms within view of medical assistant work stations. 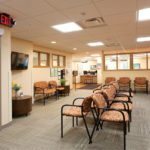 This was accommodated within the existing 8,500 square foot octagonal volume, making best use of the triangular corners for physician office space. 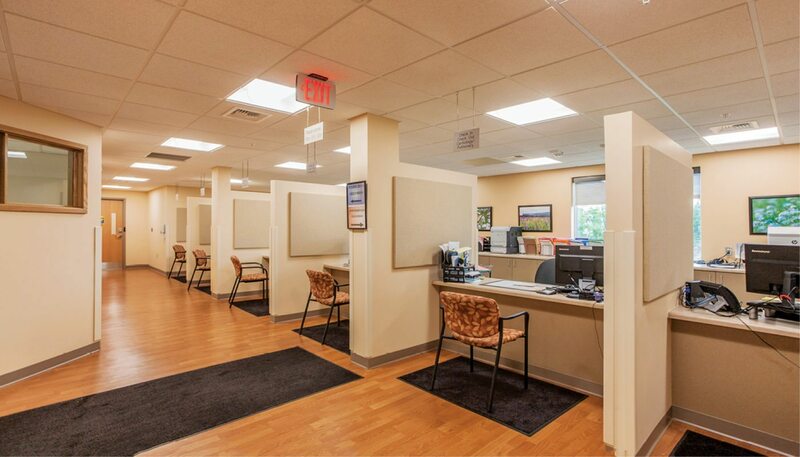 Centralized staff space in the center makes for fewer steps and improved levels of care for those visiting the suite. 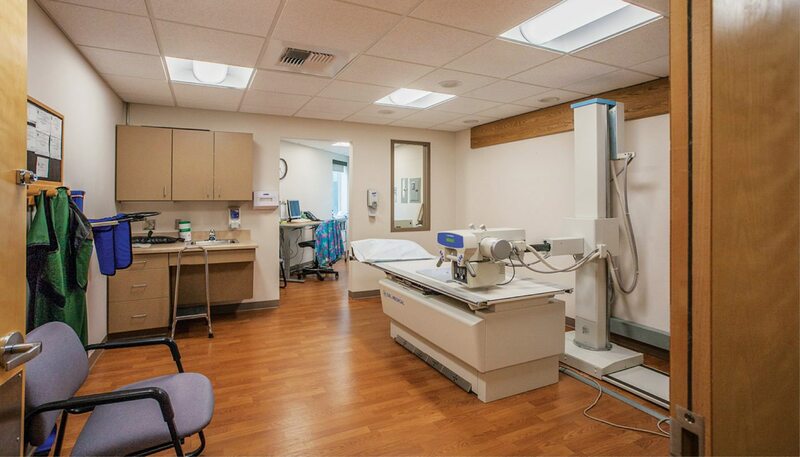 An x-ray room is located on the way from the waiting room to the exam rooms for convenient diagnostic flow. 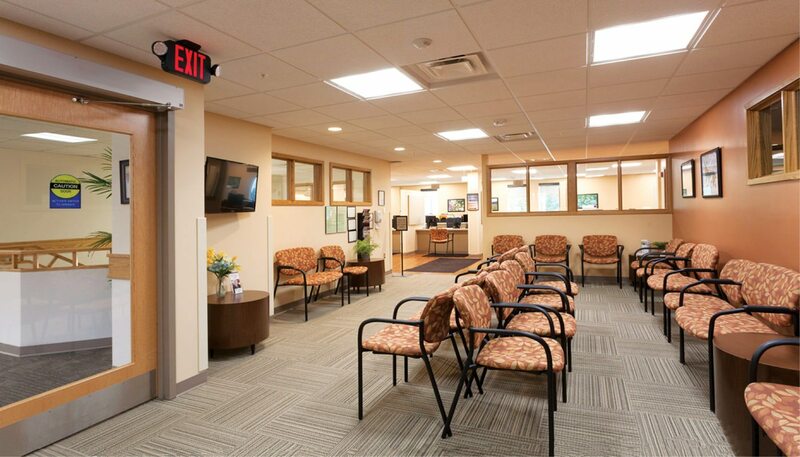 The waiting room and reception area is efficiently shared with an adjacent Cardiology Suite. 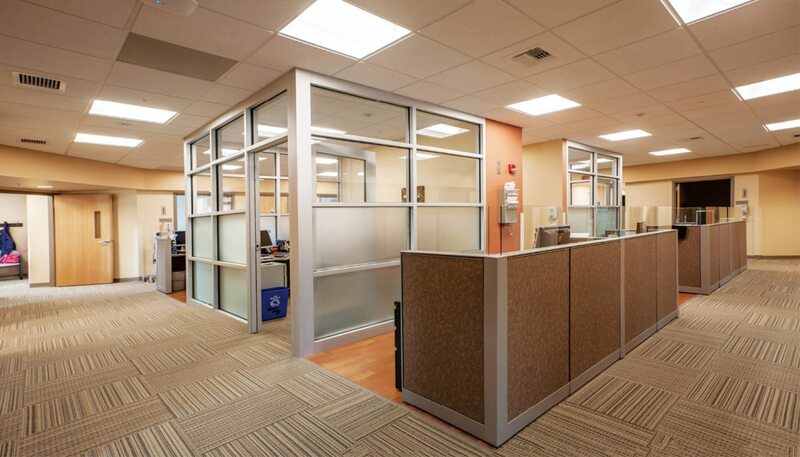 Large windows bring daylight deep into the suite, providing an uplifting experience for patients.